The exams and final papers are finally behind you and you’ve thrown (and hopefully found) your mortarboard. So now what? The real world and student loans? Absolutely. But there is a skill you should hone not long after graduating that will help you for years to come. It seems like a no-brainer, but when you’re cooped up in a dorm surviving on microwaveable meals and coffee, it doesn’t always come as a natural next step. Whether you’ve been raised to pinch pennies or spend like there’s no tomorrow, there is never a bad time to start your nest egg. Your future self will thank you. When you’re fresh out of college you might not be making a great salary, so it could be hard to part with those extra dollars every month that you’ll be stowing away. But you have to start somewhere. It doesn’t take stashing a fortune to build up your savings. Financial expert John Schmoll, (@FrugalRules), suggests automating your savings to ensure that you’re putting something away constantly. Once it’s automated you don’t even have to think about the money you’re parting with. And although your career is just beginning, it’s never too early to plan for retirement. When you start a new job be sure to ask your new employer about their 401(k) plan. Schmoll says this is the second way you can essentially pay yourself, especially if your company automatically contributes to your plan through your paycheck. Schmoll added that if your company offers a 401(k) match for contributing you’ll basically be earning free money just for putting funds towards your retirement. Mark Kantrowitz (@Mkant) is the publisher of SavingForCollege.com (@saving4college). He agrees with Schmoll’s 401(k) advice and advises everyone to maximize their 401(k) contributions if a company is willing to match. He also suggests that new grads consider building an emergency fund that equals at least half a year’s salary. Tips to save in the long run. Kantrowitz not only advised grads to squirrel away money whenever they can but, he also suggested that they search out other opportunities to save money. For one thing, new grads should try to tackle student loan payments based on the loans with the highest interest rates whenever they can, says Kantrowitz. Kantrowitz suggests signing up for “auto-debit” where the monthly loan payment is automatically transferred to your lender. You’re less likely to miss a payment and many lenders will give you a .25 percent or .50 percent point reduction in interest rates as an incentive to sign up. And when tax season rolls around don’t forget to claim any student loan interest you’ve paid in the last year. As you head into the “real world” you may still be reminiscing fondly of your bygone college days. Even if starting a family is not even on the horizon yet for your life path, if you’re planning to have one eventually be sure to remember how special college was for you and how intimidating paying for it can be. Kantrowitz’s last piece of advice, if or when you decide to start a family, is to open a 529 college savings plan before your child is even born. You can start out as the account owner and change it over to your child once they’re born. Short term or long term savings are great opportunities to make the most of your money, especially when you’re just starting out and income is tight. Take advantage of money maximizing options that will serve you for years to come. Even if you’re only able to put away a few dollars a day or week it’s a little more money that can serve you in a time when you might really need it. 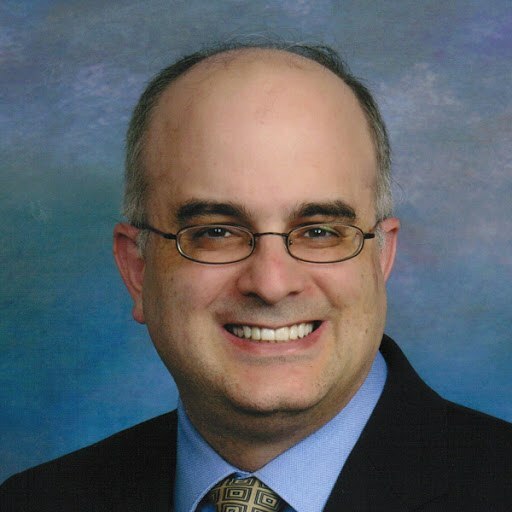 Mark Kantrowitz (@Mkant) is Publisher and VP of Research for SavingForCollege.com (@saving4college), the most popular guide to saving for college and 529 plans. Mark is an expert on student financial aid, scholarships and student loans. He has been quoted in more than 10,000 newspaper and magazine articles about college admissions and financial aid. Mark has written for the New York Times, Wall Street Journal, Washington Post, Reuters, U.S. News & World Report, Money Magazine, Newsweek and Time. Mark is the author of four bestselling books about scholarships and financial aid and holds seven patents. Mark serves on the editorial board of the Journal of Student Financial Aid, the editorial advisory board of Bottom Line/Personal, and is a member of the board of trustees of the Center for Excellence in Education. He previously served as a member of the board of directors of the National Scholarship Providers Association. Mark has two Bachelor’s degrees in mathematics and philosophy from the Massachusetts Institute of Technology (MIT) and a Master’s degree in computer science from Carnegie Mellon University (CMU). John Schmoll, MBA (@FrugalRules), is a former stockbroker, mutual fund administrator, and veteran of the financial services industry. His interest in investing and passion for financial literacy led him to leave his career with a well-known brokerage house to grow an advertising business with his wife and start a personal finance site, Frugal Rules, in 2012. Today he manages Frugal Rules and helps readers manage their money better. His work has been featured in Forbes, Fortune, U.S. News & World Report, Yahoo! Finance, CNBC and more.